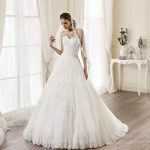 Aysira, which is moving forward towards becoming the leader in the wedding industry with firm steps, adopting a mission that prioritizes perfect designs, high quality standards and affordable prices, is among the leading and recognized bridal gown production companies in Europe and the Middle East. Aysiraexhibited its difference from the global conglomerates in the wedding industry by its power that shapes fashion with the trendy models it has created, extra ordinary collections and competitive approach. 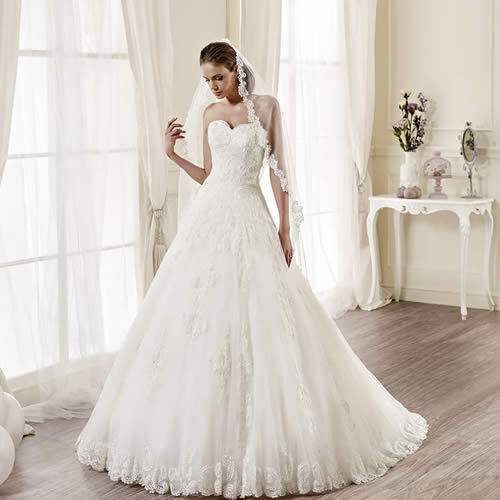 Aysira is aware of the fact that the retail customers demand high quality standards, diverse product range and affordable prices in relation to bridal gowns. Keeping this in mind, Aysira places the right product, at the right time, with the right price, at the right market. Aysira has become particularly successful by applying the fabrication production of the fast fashion system and expanded even more. The short delivery period (1-3 weeks) advantage it provides to its retailers, is a result of the stock works that are predominantly due to fabrication production. Working on a corporate structure basis, Aysirahas obtained the production license from Pierre Cardin, which is another global brand, as a result of its diverse product range and the qualified levels it has reached in terms of its quality, and thus reinforced its international presence. Adding the Pierre Cardin collection to the Aysira collection has enabled the company to provide an even more diverse product range to its customers. Drawing further attention with its evening dress designs along with bridal gowns, Aysira has made a distinguished name for itself within the industry with the spectacular designs it has within its colored product group. Aysiradesigners also provide constantly renewing and acknowledged fast fashion collections with sophisticated, romantic and chic details. Actively participating in the largest bridal gown fairs worldwide, Aysira has several sales points in a number of countries including Lebanon, Azerbaijan, Iran, Bulgaria Germany, Italy, Syria, Russia and Belarus and expands its international market network further with each passing day. 5000 square meters of indoor production area and wholesale and retail sales stores enable Aysira to create new employment areas and continue its investments.